Last night I went out to see what’s largely believed to be Leonardo DiCaprio’s soon-to-be Oscar winning performance in The Revenant, the latest from Alejandro G. Innaritu after he won Best Picture for Birdman last year. Is it a perfect movie? No, not at all. But that’s not what most people care about here. The real question is will Leo finally win an Oscar for this performance? Yes, yes he will. Here’s the short review of the movie for you. The Revenant has a tough sell from the get go because of it’s subject matter. Leonardo DiCaprio gets mauled by a bear (within the first ten minutes) and is ultimately left for dead by his crew of fur trappers in the midwest in the 1800’s. Not only do you have to sit through more than a fare share of violence, but Leo is largely alone in his quest for revenge. It creates a similar vibe to All is Lost with Robert Redford or Cast Away in that it’s a survival film, but thankfully a good supporting plot helps it out. What is going to be underreported in movie media for the next few months is how terrific Tom Hardy was in this movie. His role is arguably better than Leo’s, mainly because he gets to play a more villainous role and interact with his co-stars more. Hardy is dazzling, and this only serves to further the belief that he’s one of the best actors working today. But Leo has a lot to work with as well. Because of his story – again, left for dead against the wilderness in the least technological time in America – we watch him have to fight against everything. Snow, animals, renegade Native Americans, and more. They do a nice job throughout of threatening his life without seeming forced for the story. But the main draw is, of course, Leo. It has to be, for he is pretty much the biggest movie star alive right now. At least with the reverence from film fans I know. Leo not only commits to the role wholeheartedly, but figures out a way to make a role that’s largely without dialogue compelling. As someone that has suffered enough injuries to recognize the physical quirks associated with them, DiCaprio does a good physical job while showing just enough restraint to keep from hamming it up. The film is visually stunning – shot only in natural light, meaning the shadows are real, be they from sunlight or fire – and is really interesting as a meditation on human nature. Greed, determination, man’s relationship with nature, the validity of revenge, and more are all in play. While some of the story can become repetitive, and this is the largest criticism of the film I’d have, it’s still largely entertaining. 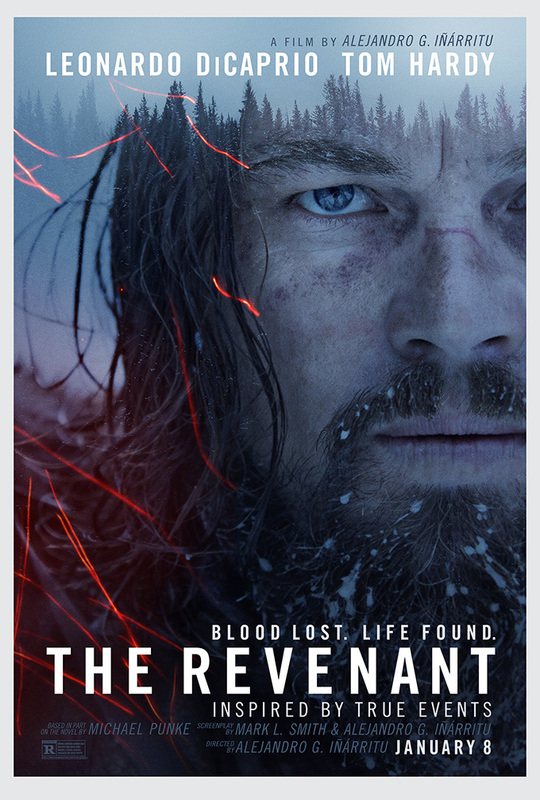 Again, not perfect, and it could serve to maybe be 10 minutes shorter, or use less of the same shot style again and again, but when The Revenant is at its best, it’s one of the best films of 2015. For where this stands in the larger context of Leonardo DiCaprio roles, I’m not entirely sure. I’ve certainly seen him in things I thought he did better in – The Wolf of Wall Street, Catch Me If You Can, etc. – but this performance is largely tough to compare. He’s partially a savage. He’s Survival Leo – no charm required here. It’s complex, but entirely understandable. Leo does a great job, again, at making it compelling and harrowing trying to survive without going completely off the rails. You feel his pain and that’s why he’s going to win a statue. Some of that is narrative – he’s due, big time – but to frame it as undeserving is wrong. Not his best, but this guy is amazing. This is finally his time. Connor, you’re right–it SHOULD be Leo’s time for an Oscar! Although he doesn’t have much dialogue, his performance is terrific, and the movie is awesome. Just the way it was filmed, without artificial light, gave it such a cool look and the cinematography is spectacular. How they captured some of the scenes is beyond the imagination, and remember, there was some CGI used, but not much. I don’t think Tom Hardy’s performance is going unnoticed. I think there is a lot of buzz about it also. He is probably one of the greatest actors of our time. He disappears into his characters. (Did you see Hardy in “Legend”, where he plays real-life twin mobsters?) That’s one thing I thought about Leo in “Revenant.” You completely forgot it was Leo DiCaprio, and he became the character. That’s why he should win.